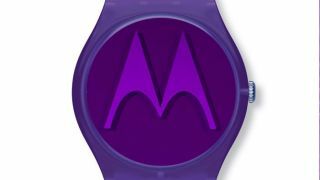 Motorola's forthcoming smartwatch choice will be very different from Samsung's Gear range, insisting that a 'different approach' to wearable tech is necessary. Speaking to TechRadar minutes after a press conference in which rival smartwatches were described as 'really ugly' by Mark Randall, the company's Senior VP for supply chain and communications explained more about the Motowatch. "We're going to take a very different approach with the smartwatch. We think it will be forward-thinking," said Randall. "The thing we think is, if you're wearing a nice watch are you going to want to put a [Samsung] Gear on? You could in certain situations - when you're in a sporting scenario for example - I wear a Nike Fuelband. "So we're trying to take a very different approach to that category which we think the consumers will find interesting." Motorola has been through huge turmoil in recent months, with Google selling out to Chinese giant Lenovo and announcing that CEO Dennis Woodside is off to pastures new. But the mood in Moto remains ebullient, with software and engineering VP Steve Horowitz adding: "We honestly are very excited. "There are a lot of things to learn and we still have a lot of conversations to have with Lenovo but a lot of what we heard is pointed exactly in the right direction. "We as a team take a lot of pride in what we do and we're very excited with having that continue with Lenovo. We're a group who feel we can keep on doing it."